Dad's home there he is! I could hear my boys shout as I stepped into the airport. After working overseas for the last six months, it was a welcome sight to see my wife and kids. One of the first things they asked is if we could go fishing, so after a days rest we headed down to H&F and bought a family license. Off down the Pohangina valley we went to try catch a few Rainbows. I sorted out the rods for the wife and kids and before I had even started getting mine done, they were off at warp speed to the river. 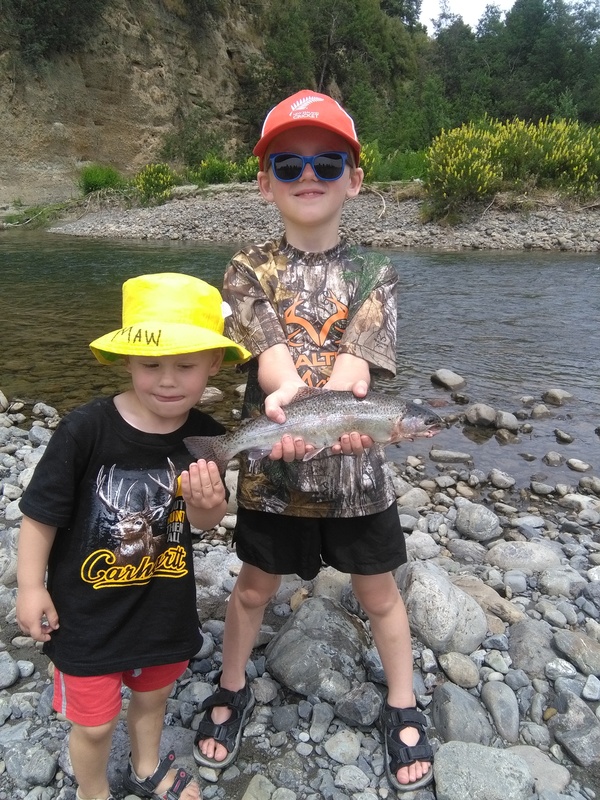 I was first to hook up with a small rainbow, shortly after my oldest was hooked as well yelling and yahooing as he successfully landed the fish all by himself. 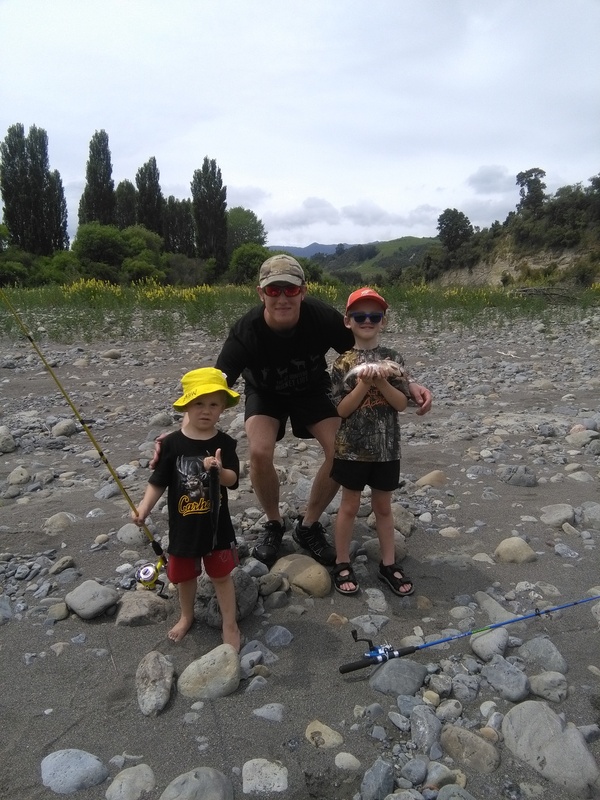 Then it was the young fellas turn to help dad bring in another one, he was very happy with his fish he helped dad get snd is still talking about it now. After a quick lunch we went out for one more quick cast and managed to land another one, the rapalas were working a treat. Finished off with a swim in the river, it was a great day with the family and great to get back outdoors in our beautiful country. Tahr, veitnamcam, kiwijames and 18 others like this. Great effort. Kids miss their family when the latter has to be away on those trips. I see the rebounding in my family. Feral and WallyR like this. Got to make the most of the time you have together when you work away. Just a requirement of the work I do, luckily it's only every few years or so. Still hard though. veitnamcam, Feral, trooper90 and 1 others like this. Cool day out with the family. Lovely. I imagine that there were a few tears when you were re-united. Sadly many kids have far lesser lives than yours regardless of you being away sometimes. primo eating size fish.....nothing like fishing with the younguns,enjoy it now before they are teenagers and you try to get away from them for some peace lol.